Enabling access to healthcare to the most vulnerable. Healthcare makes up a significant share of the support provided to people living on the street and/or socially marginalized, whether they are young or adult. 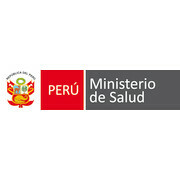 The project aims first to implement an integrated and coordinated approach for access to care for people in extremely vulnerable circumstances in Peru and Mali, and second, to identify best practices in this sector on the basis of these two Samusocial organizations as well as other Samusocial organizations and share them across its network so that they can be effectively replicated. The first thrust of the project is to step up access to basic health care and education health activities, including a sexual and reproductive health component, among street children and adolescents, marginalized families, victims of domestic violence, and adolescents at risk of early pregnancy, in two different national contexts - Mali and Peru. The second thrust of the project, drawing on the examples of Mali and Peru, is to strengthen the referring of recipients of Samusocial services to health facilities that form part of the local health system, so that there is a seamless health management link between people coming from Samusocial’s basic medical service and national health services that can offer more complex treatment, especially in the field of preventive, and sexual and reproductive healthcare. The third and final thrust of the project is to identify good practices and ultimately produce recommendations that will factor the issue of destitute people into national discussions about establishing universal health coverage systems. These recommendations will be shared with all Samusocial organizations and enable Samusocial International to position itself in global, regional and national debates about social protection floors and universal health coverage. Samusocial International is a non-profit organization focused on emergency intervention which reaches out to marginalized groups within a society whose major means of subsistence becomes mere survival. In its approach towards those people, Samusocial upholds the view that these people are "victims" of society being deprived of the access to major social, medical and legal services. Created in 1998 by Doctor Xavier Emmanuelli based on his experience with Samusocial de Paris, Samusocial International is a French association under the law of 1901. Its goal is to support and improve the conditions of those excluded from society in major metropolises all around the world and to implement, foster and disseminate the basic principles, methodologies and professionalism of Samusocial. Samusocial International gathers all existing Samusocial organizations all around the world which target various populations from homeless adults to street children. Field methods and approaches are promoted and strengthened through university degrees and professional trainings given to all staff members. 15 structures are now operational: Bamako, Brussels, Dakar, Cayenne, Lima, Algiers, Moscow, Ouagadougou, Bucharest, Casablanca, Fort de France, Pointe Noire, Colombia, Angola and Cairo. All Samusocial organizations have signed the Charter of Samusocial International, which guarantees the respect of its professional ethical code of conduct, principles of action and methods of intervention. 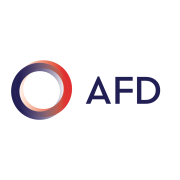 AFD is France’s inclusive public development bank. 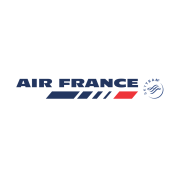 They commit financing and technical assistance to projects that genuinely improve everyday life, both in developing and emerging countries and in the French overseas provinces. In keeping with the United Nations Sustainable Development Goals, AFD works in many sectors — energy, healthcare, biodiversity, water, digital technology, professional training, among others — to assist with transitions towards a safer, more equitable, and more sustainable world : a world in common. Through a network of 85 field offices, they currently finance,monitor, and assist more than 2,500 development projects in 108 countries. Financing development means working for everyone's benefit, to prevent crises and to build shared prosperity. Reconciling the two urgent challenges of climate and development, as well as fighting inequality, are their core priorities. 50% of grants and loans to foreign countries in 2016 have climate and development as co-benefits. With €24 billion committed since 2005, the AFD Group is one of the main international donors seeking to reconcile climate and development. 50% of the amounts AFD commits to foreign countries go to Africa, which is the priority target of French official development assistance. 50% of projects initiated in 2016 also further gender equality, which is a powerful factor of development and the fight against poverty. 50% of 2016 commitments were carried out as cofinancing with partners. Cofinancing makes it possible to multiply impacts and make more ambitious projects possible. 50% of their commitments in 2016 were devoted to "non-sovereign" activities. AFD provides financing not only for States, but more broadly for all the stakeholders of development: projects initiated by public and private enterprises, local communities, banks, investment funds and NGOs. 50% of commitments are made in countries belonging to the International Organisation of La Francophonie (OIF). 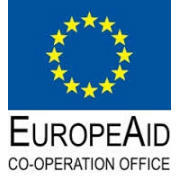 Development and Cooperation Directorate General - EuropeAid formally began work on 3rd January and is responsible for designing European development policy and delivering aid throughout the world. The European Commission can now speak with one voice on development and cooperation issues. Development and Cooperation - EuropeAid brings together two former Directorates General (DG): DG Development and DG EuropeAid. Having one address for development policy and implementation will provide a single contact point for stakeholders both inside and outside the EU. Development and Cooperation - EuropeAid is also the single interlocutor for the European External Action Service (EEAS), and for all sectoral DGs. Development and Cooperation - EuropeAid reinforces the ability of the EU to design state-of-the-art development policy for all developing countries, and enhances policy coherence for development while further improving implementation and delivery mechanisms. It also defines the future development policy drawing from the objectives of the EU's Green Paper on development policy and contributes to global challenges ahead. Development and Cooperation - EuropeAid plays a leading role in the international debate for development involving donors, international institutions, developing and emerging countries and non State actors. The new DG is headed by Fokion Fotiadis. After a short transitory period, the two DGs have been fully merged and a new structure has been put in place. Development and Cooperation - EuropeAid is responsible for putting into motion the European Commission's worldwide concern for development, by bringing together policy design and policy implementation covering all development countries. It acts as the single contact point for stakeholders both inside and outside the EU, but also for the European External Action Service (EEAS), and for all sectoral DGs of the European Commission. EuropeAid Development and Cooperation is responsible for designing European development policy and delivering aid throughout the world. EuropeAid delivers aid through a set of financial instruments with a focus on ensuring the quality of EU aid and its effectiveness. An active and proactive player in the development field, we promote good governance, human and economic development and tackle universal issues, such as fighting hunger and preserving natural resources.